CARMEN LAGALA is a New York City based stand-up comedian who made her network television debut in 2018 on The Late Show with Stephen Colbert. Originally from Vermont, Carmen endears audiences with her small-town charm, delivering jokes that are smart, dark, dirty and playful. She regularly features for comedian Hari Kondabolu at the best clubs and theaters across the country, and recently appeared in the web sketch “Dollar Store Therapist” for Comedy Central. WELCOME TO THE FUTURE! Where everyone and their grammy needs followers! And a constant stream of content! Out of this hellscape comes Verified Laughs, a weekly show where top comics go head to head for YOUR VOTE. We have 8 comics compete head-to-head for the audience’s vote. All voting is done on Instagram and Facebook. We also stream the show live on the Laugh Factory’s Facebook page. LANGSTON KERMAN is a comedian, writer, actor and failed NBA ball-boy. He has appeared on ADAM DEVINE’S HOUSE PARTY on Comedy Central, and was also a part of Chris Rock’s writing staff for the 2016 ACADEMY AWARDS, as well as the new Comedy Central show SOUTH SIDE. Most recently, Langston was seen recurring on the HBO series INSECURE from Issa Rae. None of this matters. He just wants another shot at being a ball-boy. A stand-up comedy showcase with a tailgate setting! We will be providing free food during the show while supplies last! Arguments & Grievances is a live comedy series and podcast based in Chicago featuring comedians debating outlandish topics with audiences choosing the victor. Kristin Lytie and Alexandra Tsarpalas host stand up comedy and characters as Jan the saucy mom that wants to be everyone’s friend and live life to the fullest, including a lot of sexual exploration and Barb the sweet Wisconsin mom who has no idea what’s going on but knows the love of Jesus will get her through anything. Mom Genes really encourages stand ups to dive into character work with fan favorites like Drunk Aunt and World’s Greatest Stepdad. Diamond Comedy Hour is a monthly showcase featuring premier female comedians from Chicago and beyond! Live On Air is a standup showcase that is broadcast live on 104.1 Riverwest Radio. Located at Riverwest Film and Video, the show features stand up comedians, characters, silly games, and audience participation hosted by DJ Seeve and Dana Dalia (Carter and AJ’s alter egos). 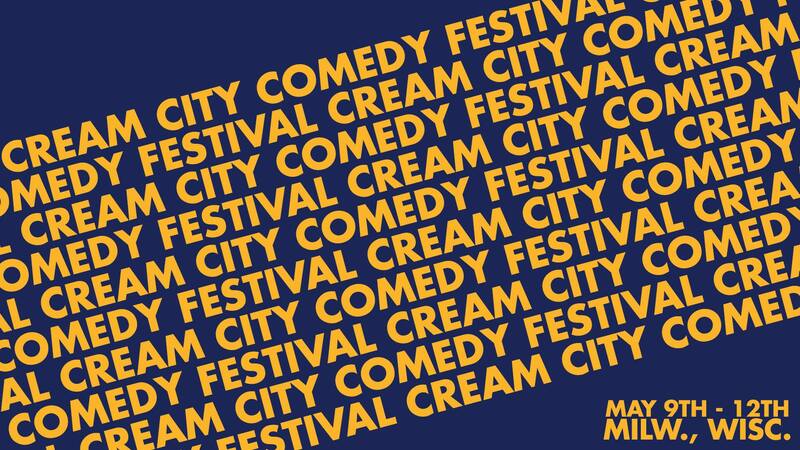 The Zucchini Party is the official after-party for the Saturday of Cream City Comedy Festival! Featuring live local music and a midnight-mix by host and DJ: Yung Zucchini. Real stories from real service industry professionals. Come experience the catharsis and hilarity of story telling from folks who are in the front line of dealing with a demanding public every day!